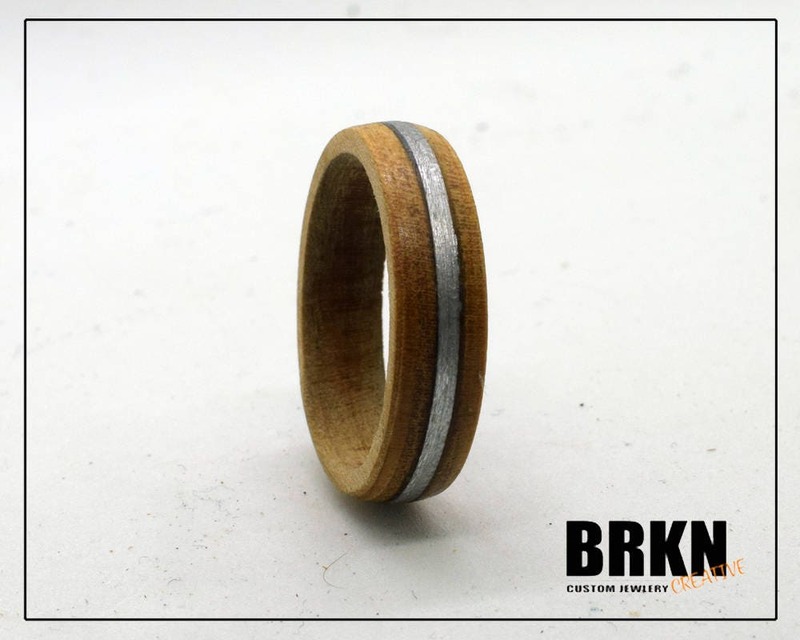 This ring is handmade from a solid piece of maple wood and finished with a straight aluminum inlay. 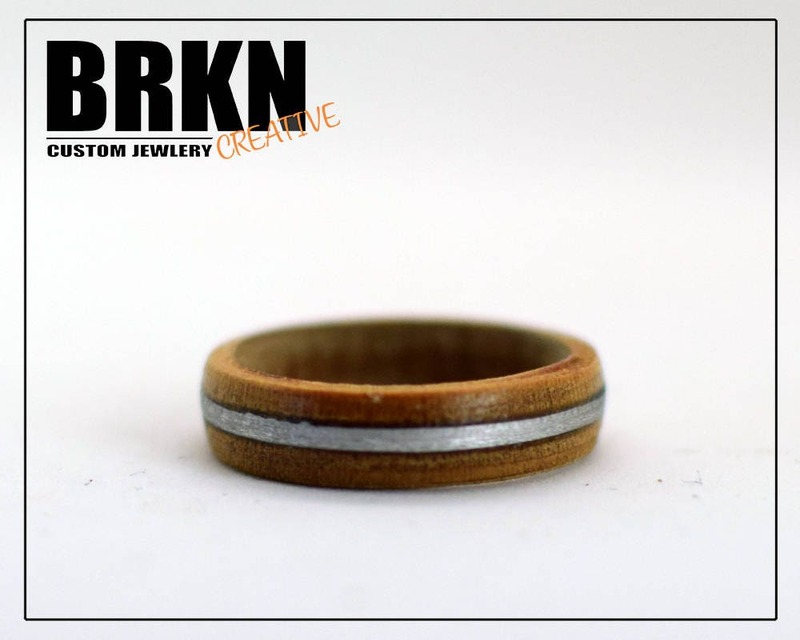 This is a light 8mm wide band with a comfortable fit. 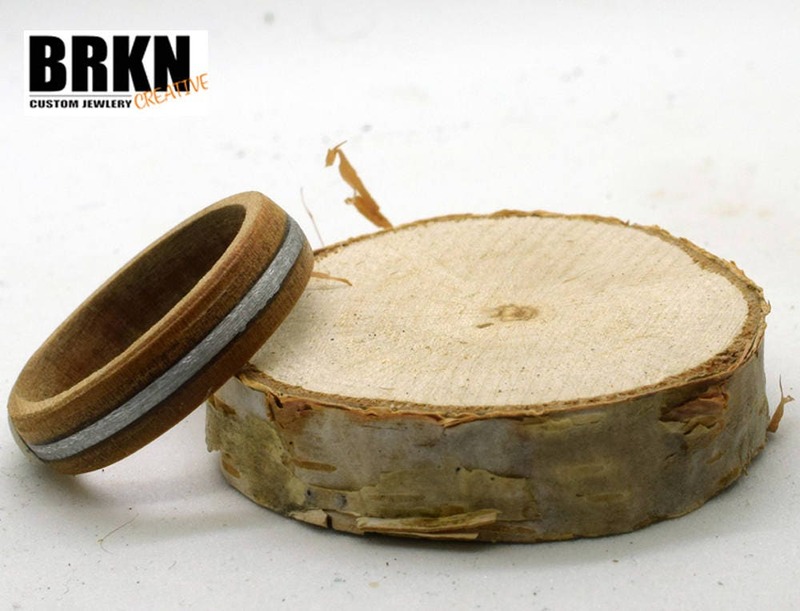 Each ring is milled from a solid piece of Maple to your ring size using a jeweler's mandrill. 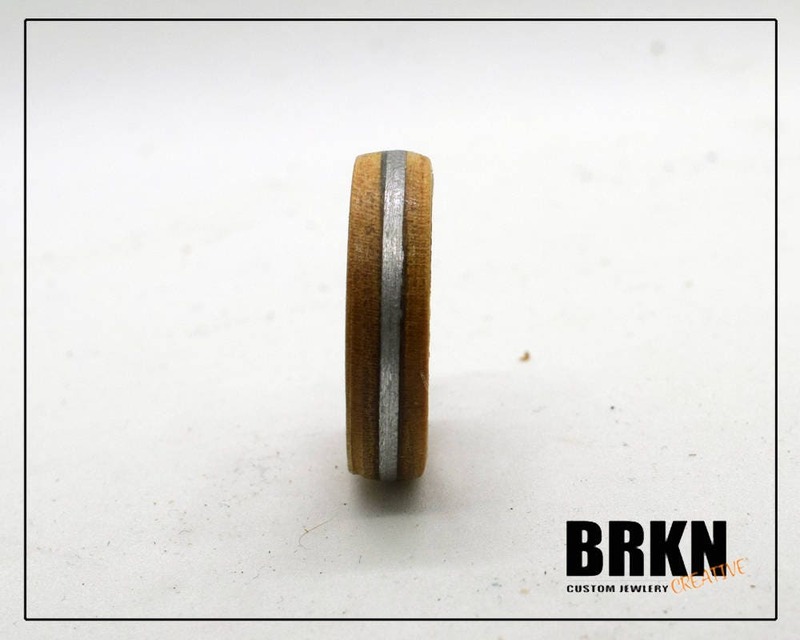 The wood is then shaped and polished. If a ring is damaged in transit it can be returned for a full refund, we, however, cannot accept returns on rings with a misstated size from the buyer.